We get asked fairly often which podcast host to choose from, for there are many. We switched to Fireside.fm and have never looked back. Dan Benjamin is a professional podcaster who runs his own network. He saw the writing on the wall that many of his podcasters, once his 5by5 network gave them a huge audience, would jump ship off his network and either start their own or just go independent. So he saw an opportunity in creating a powerful and dead simple hosting platform. This is not the place for video podcasts. It's just audio. Just MP3. And just RSS feeds. Within these constraints, you have a simple and clear layout to get your show up and running. We use the default artwork and fonts because, honestly, I think they look great and I don't have the time or experience changing anything now. The price is easy: $19/month. It's the only plan. If you have more shows you want to do, new podcasts are only $8/month. It'll import from your provider in one click and help you easily get on more platforms, like iTunes (default), Google Play, Stitcher, TuneIn and more. 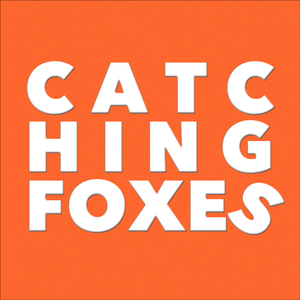 Catching Foxes in on about 8 or so different podcast platforms. We started as a podcast hosted by Squarespace on my LayEvangelist.com website. This is great for non-serious, cheap, or just starting out podcast shows. You need a website for your show, an RSS feed to point iTunes to, and that's about it. Fireside gives you a website and the RSS, but if you already have a website, like I did with LayEvangelist.com, then adding a podcast is essentially free. But once I jumped ship to pay more money for hosting with Fireside, I haven't regretted it for a single moment.